This MOC brought my child-hood memories back. LEGO fan and flickr.com user Joe Perez a.k.a. MortalSwordsman shared this amazing model of Soundwave a Decepticon robot from the Transformers cartoon TV series. The shaping and the colorscheme are amazingly acurate as well as the transformation capability. 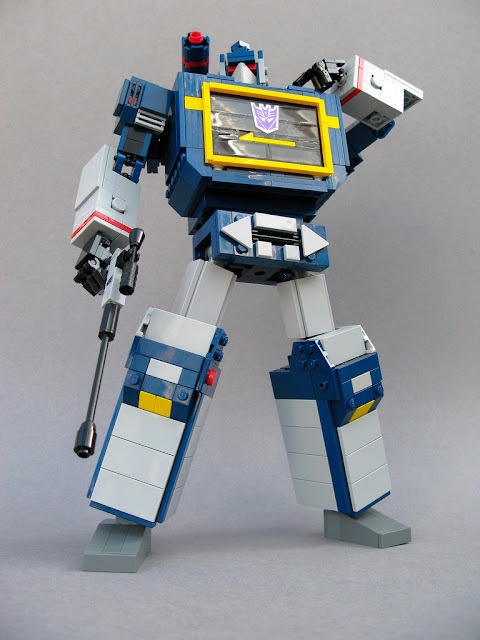 The creator also built smaller robots which can transform into casettes as well and they come out of the chest of Soundwave as they o in the cartoon.